The Palace that Joan Built Film Launch! 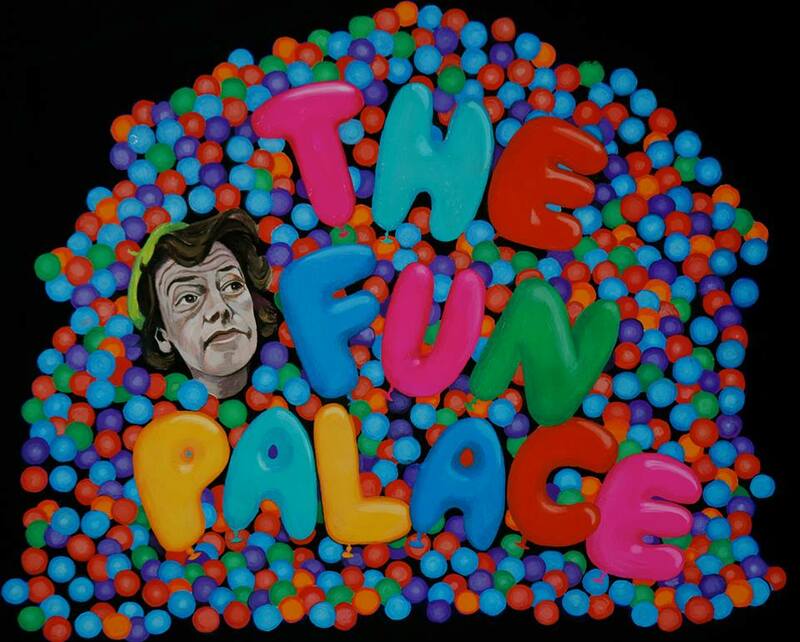 Well folks, it’s finally here – our “Palace that Joan Built” film, and the very final instalment of mine and Mel‘s sprawling installation project that has celebrated the life, work and legacy of radical socialist director Joan Littlewood through art, music, workshops, film and donkeys. Come to the launch of the FILM bit at Stratford East Picturehouse on WEDNESDAY 28th April, 5pm. It’s got an Eisenstein peasant choir, a Queenie Watts-style East End knees-up, socialist magic tricks, a big hall-ful of adorable singing children, a hovercraft, Ian Shaw‘s inimitable tones, Dickie Beau‘s extravagant lips and my massive face… If you can’t make it then it’ll be installed in Stratford Station for a year. On loop. Terrifying.